"Everyone had an awesome time! It changed the way some of the guys thought about yoga, and they're no longer hesitant or afraid that it's not for them." Happy employees are more productive, focused, and present. Keep your employees engaged and invest in their happiness so they can stay longer in your company. 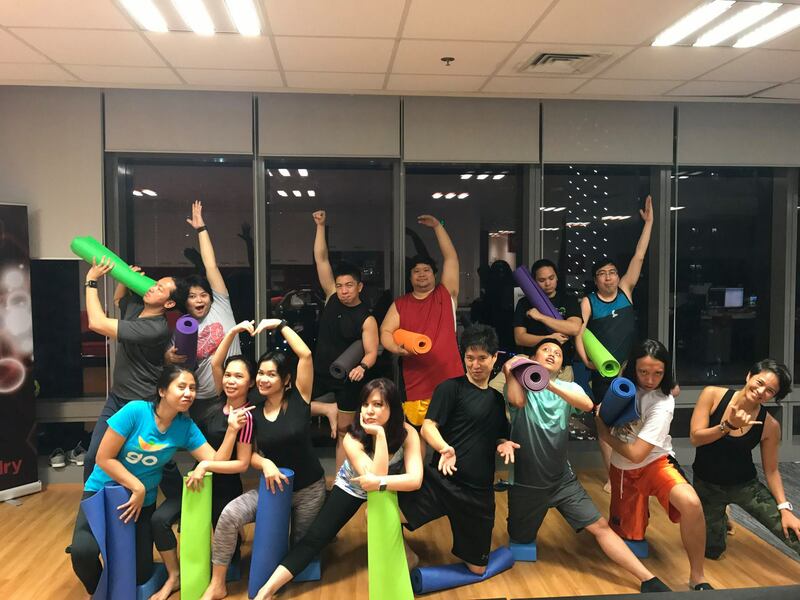 YogaPlus provides fitness and wellness solutions that can be used for training, team-building, benefits, or incentives purposes. Help your employees discover that happiness is our default state of mind! This is an exclusive 90-minute yoga class program for your employees at any of our studios. For an initial flat rate, you can sign up 24-30 employees. Additional employees can be accommodated at an incremental fee per person if space permits. This way, we can cater to your company's working hours and group activity budgets. In addition to the 90-minute class, we will provide a 30-minute briefing about yoga and breathing exercises that your employees can practice regularly. All yoga equipment will be provided as part of the package. 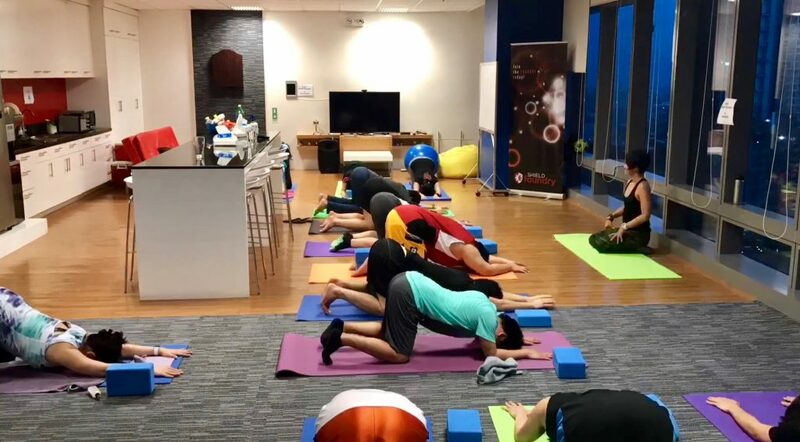 These are private yoga classes in your company facilities. The rate will be for 60 minutes for a maximum of 30 students. The venue, facilities, and mats will be provided by your company. These are yoga classes purchased by your company in advance. Any number of employees can take any of our yoga studio classes. All they need to do is show their company ID for verification and usage purposes. The membership will be under your company name and employee attendance will be charged to your company's account. Availment reports can be provided upon request. 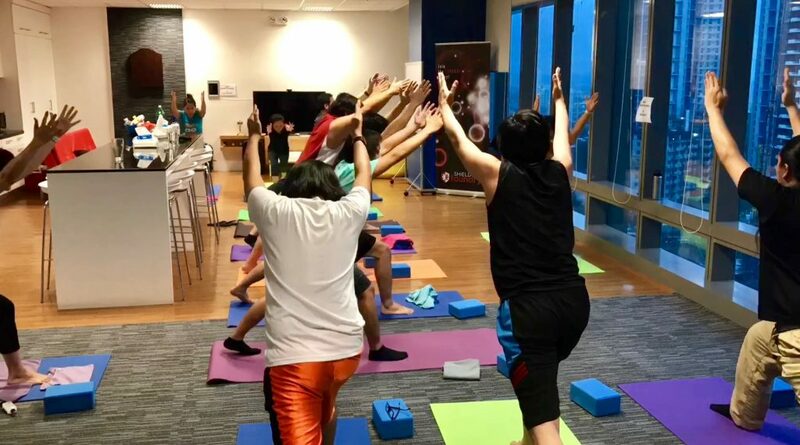 This is a subsidy offering to your employees to avail of individual packages at YogaPlus after they tried the private or prepaid yoga classes. As the company shoulders a percentage of the employee's fees, you and your employees become partners in their health and wellness journeys.Your company can identify your budget and target number of employees. This program will extend special corporate discounts to your employees without any cost to your company. In exchange, your company will use its communication channels such as email announcements, HR newsletters, printed posters etc. to promote our yoga class offerings. Once this program is activated, all your employees need to do is show their company ID to avail of the discounted packages. We have resource speakers who can provide a 1-hour talk to your employees during company-sponsored activities. The talk will cover stress and how we can manage it through a combination of breathing exercises, movement, and healthy food choices. 1-day Mindfulness at Work workshop for Week 1 that will cover the following topics: Self-awareness, Managing emotions, Mindful communication techniques, Managing relationships with others. 2-hour talk on Nutrition and Food Choices for Week 2. 10 sessions of yoga, 1 hour each, once a week for Weeks 3-12. This program can be adjusted to your requirements, schedule, and budget.